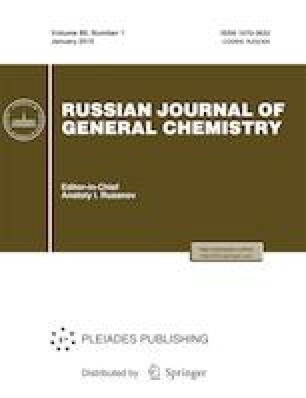 Protonation pathways of 2-amino-4-benzylsulfanyl-6-methylpyrimidines have been investigated by means of semiempirical PM3 quantum-chemical simulation, 13C NMR spectroscopy, and single-crystal diffractometry methods. In the gas phase and in the bipolar aprotic solvent, the protonation involves the N1 atom. The protonation in the crystalline state is characterized by the formation of a branched system of H-bonds, involving the protons of the amino group besides the mentioned nitrogen atom. Russian Text © A.V. Erkin, V.V. Gurzhiy, V.I. Krutikov, O.V. Neporozhneva, 2019, published in Zhurnal Obshchei Khimii, 2019, Vol. 89, No. 1, pp. 19–24.